Sent forth from a Pokécoffin to do battle. Deadly and marketable! Boldly going where no vampire has gone before. – Hi, I’m an iCard. – And I’m a PC. When Hellsing is really strapped for cash, they rent him out to birthday parties. Integra: Why are you naked. 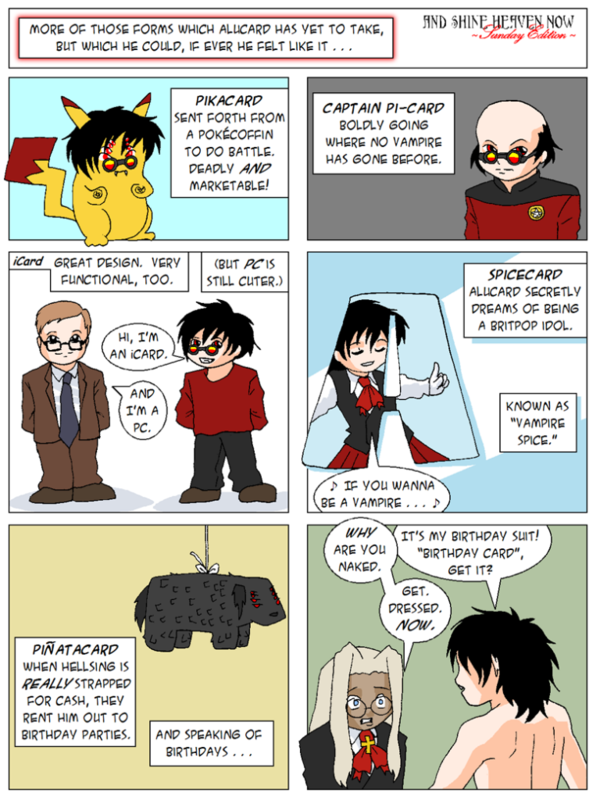 Alucard: It’s my birthday suit! “Birthday Card”, get it?